Ever heard of a little something called MCT oil? It’s been labelled as something of a superfood, and it’s taking the alternative health world by storm. But are there any substance to the claims of boosted metabolism, increased weight loss and heightened mental clarity? MCT, or medium chain triglycerides, are saturated fatty acid compounds that are extracted from MCT-rich oils like coconut oil or palm kernel oil. Unlike long-chain fatty acids, medium-chain triglycerides are efficiently digested and sent directly to the liver, where they are instantly converted from fat into heat, boosting metabolic processes and supporting healthy cardiovascular function. Basically, the exact opposite of what you used to think eating fat would do! As with many other forms of saturated fatty acids, MCTs are often deficient in the average American diet, largely due to the misinformation fed to the general public by the U.S. government for 30-odd years. Contrary to popular belief, we now know that saturated fats from healthy sources like coconut oil should actually be consumed every day. Other less-potent sources of MCT oil include butter, cheese, whole milk and full-fat yogurt — particularly if sourced from grass-fed cows. If you’ve ever heard of something called “Bulletproof Coffee,” you’ll know that MCT oil is an integral part of the recipe. Devised by Bulletproof Diet founder Dave Asprey, bulletproof coffee is designed as a full-fat breakfast replacement composed of fresh-ground, mold-free coffee, grass-fed butter and MCT oil. Proponents of bulletproof coffee maintain that drinking it as a breakfast replacement increases satiety, improves mental performance and regulates healthy weight. And having experimented with bulletproof coffee for over a year myself, I can confirm that most of the claims are true. 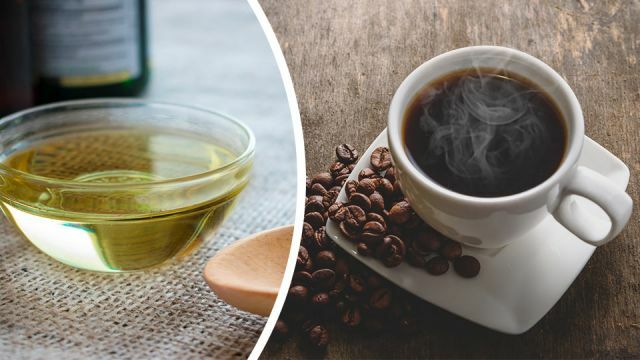 MCT oil is the real deal, and here are some of the reasons why you should add it to your coffee and slip it into your daily diet. It might seem a little hard to believe that consuming fat could actually help you lose weight, but that’s exactly what the research suggests! A 2015 study found that replacing long-chain fatty acids with MCTs could induce weight loss without adversely affecting lipid profiles, while a 2017 study showed that MCT oil was superior even to coconut oil in increasing satiety and reducing food intake. And increased satiety means losing weight just got a whole lot easier! As most people know, a major precursor to diabetes is increasing insulin resistance. This means that blood glucose can run rampant without adequate levels of insulin to keep it in balance, and type 2 diabetes is just around the corner. A 2016 study showed that feeding MCT oil to mice on a high-fat diet not only prevented body fat accumulation, it also prevented the development of insulin resistance that was seen in mice fed a high-fat diet without MCT oil. Recent research proves that the claims regarding MCT oil’s brain-boosting prowess are very much true. A 2015 study showed that supplementing with MCT oil was able to increase circulating ketone bodies, a process that is known to improve brain function. Study participants who received 56 grams per day of MCT oil for 24 weeks showed improved memory, improved concentration and overall improvement in cognitive function. Research over the past couple of decades has increasingly shown the strong connection between the gut and weight management. In general, people of a healthy weight have a healthy gut microbiome, while those who are overweight or obese suffer from adverse gut conditions. MCT oil just so happens to support a healthy gut, and in so doing may help to fight obesity. A 2016 study published in the Journal of Nutrients found that MCTs can “ameliorate metabolic health via their capacity to improve both intestinal ecosystem and permeability.” Researchers concluded that MCT oil can not only help to improve gut health, but it can also help to prevent the development of obesity by supporting a healthy gut microbiome. MCT oil shows signs of being an excellent way to improve exercise endurance. A study published last month found that MCT oil “up-regulates the expression and protein levels of genes involved in mitochondrial biogenesis and metabolism.” This, in turn, allows the body to obtain energy more efficiently from its fat cells, allowing athletes or casual gym-goers alike to run, bike or pump for longer. Metabolic syndrome refers to a collection of metabolic disorders, including abdominal obesity, hypertension and impaired fasting glucose. And in the same way that MCT oil can improve energy metabolism and regulate insulin sensitivity, medium chain triglycerides can also help in the treatment of metabolic syndrome. A study published in the Journal of Lipid Research showed that MCTs reduce risk of metabolic syndrome by modulating metabolism of carbohydrates and lipids, and by increasing mitochondrial energy production. Together, these beneficial effects on the body can help to promote healthy gluconeogenesis and more balanced weight. Not bad, for something previously brushed aside as a saturated fat, right? Hey Buddy!, I found this information for you: "Weight Loss + 5 More Reasons To Put MCT In Your Coffee And More". Here is the website link: https://www.thealternativedaily.com/6-reasons-to-put-mct-in-your-coffee-and-more/. Thank you.